Where can you experience Broadway, old-school rock, AND gospel music? At the Living Arts Centre, of course! From February 14-16, the Living Arts Centre gives you three kinds of concerts in just three days. Wondering how to impress your sweetheart? Set the bar high and give them the most memorable Valentine’s Day date ever. Drive into our heated underground parking (free after 6pm!) head up to the Atrium, buzzing with pre-show activities! Snap a lovey-dovey photo together at Fotografia Boutique’s photo booth and receive a free digital souvenir copy. Join in a free Ballroom Dancing lesson with a professional instructor! Check out the LAC’s Dinner/Show Packages online; RBC Theatre and LIVE restaurant will be set up for a special themed Valentine’s Day dinner, with live music, strolling musicians and roses handed out to that special someone! 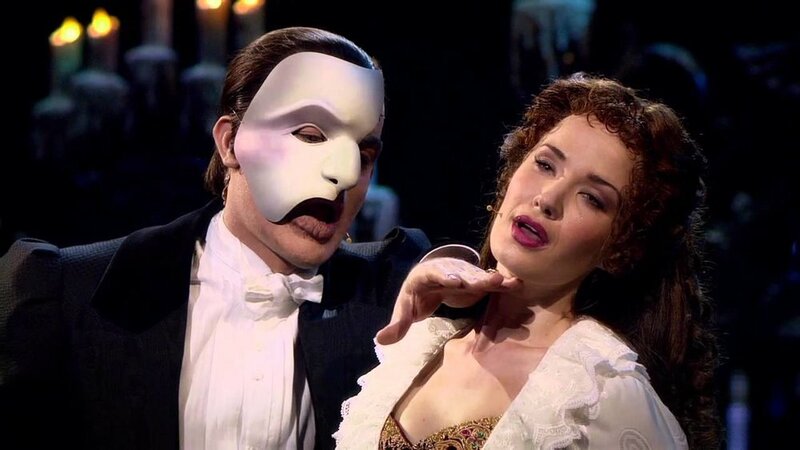 Then, at 8:00pm, head into Hammerson Hall to see the face and voice of The Phantom, Jean Valjean from Les Misérables, and many more of your favourite musicals from Broadway and London’s West End. Ramin Karimloo performs his new concert, ‘From Now On’ with his acclaimed Broadgrass Band, playing a unique genre of musical theatre combined with bluegrass! Dubbed by media as “The American Led Zeppelin,” Get The Led Out is back by popular demand for a fourth fantastic time! If you haven’t experienced a Get The Led Out concert yet…where have you been!? Utilizing the multi-instrumentalists at their disposal, GTLO re-create the songs in all their depth and glory with the studio overdubs that Zeppelin themselves never performed. Don’t miss the concert that has taken Mississauga by storm for the past three years! February 16, 2019 – Ben Heppner & Toronto Mass Choir: O HAPPY DAY! Multiple Grammy award winner, Ben Heppner, is known to be one of the greatest dramatic tenors of our time. This February, he performs with Canada’s premier gospel choir, Toronto Mass Choir, in a brand new concert, ‘O HAPPY DAY!’ The Toronto Mass Choir (TMC) continues to be on the cutting edge of the Canadian gospel music scene, bringing their distinct gospel sound to the world stage and garnering many awards, including a JUNO Award (2003) and Covenant Award (2006). Now 35-strong plus a four-piece band, the not-for-profit choir consists of adult members who are from various local church denominations. We promise their high spirits will lift you up and out of your seats! For tickets, head to www.livingartscentre.ca or Call the Box Office at 905-306-6000.